The hydroponics allows to grow plants without soil, but on inert substrates: they contain no nutrients and contain more oxygen than Earth, which allows the roots to absorb the fertilizer effectively. 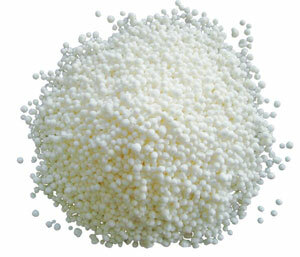 Examples of inert substrates: clay beads, perlite, sphagnum chili ... More information on the boards Pots and Substrates . The grower provides these nutrients in the water that flows continuously into the irrigation system. The hydroponic gardens provide unequaled yields than crops in the ground but still need more attention than traditional systems because of the accelerated growth of plants. Hydroponic systems differ in the way the nutrient solution is distributed. This technique has existed since the dawn of time. The Hanging Gardens of Babylon were one of the earliest examples, as are the gardens of Peruvian peoples grown on the surface of lakes in high mountains such as Titicaca. 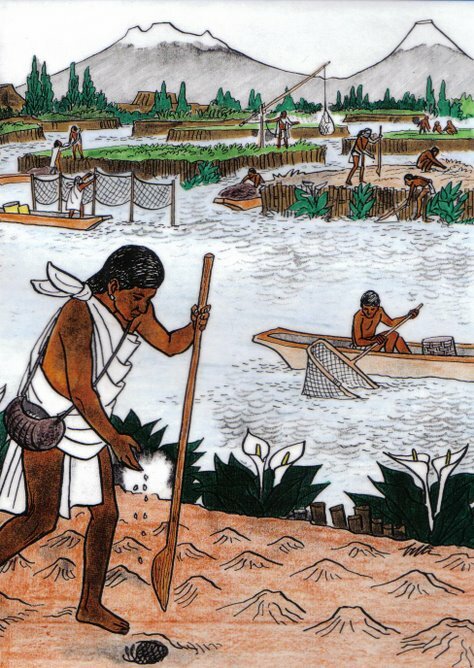 The Aztecs, meanwhile, s 'settled in nearby swamps of the future Mexico city and gardened on a kind of raft, leaving immerse the roots of plants in the lakes: unknowingly, they were the precursors of a species of primitive aquaculture. the Chinese use still ancestral techniques gravel culture. the soilless culture that today we know was born in the nineteenth century in Germany. 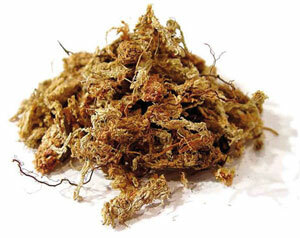 It was discovered as part of research carried out to discover what fed the plants. It was only in 1930 that Gericke produced the first commercial hydroponic system in the United States. During World War II, the Americans grew hydroponic vegetables in the Pacific volcanic islands to ensure the vitamin necessary for good health of their troops. Since then, tests have proved the viability of the technique and its economic and environmental potential. Today, culture soilless is practiced on millions of hectares worldwide. Many vegetables such as tomato , cucumber, zucchini, lettuce, peppers, spinach, beans, carrots, potatoes and herbs, which are grown in greenhouses are from cultures outside -sol, and this is also the case of the majority of cut flowers that can be found at florists. aeroponics is a system that requires no substrate. Culture Indoor offers all the best hydroponic systems available on the market. The plants grow in a pot filled with clay balls hanging above a full tank of nutrient solution. This solution is dispensed dropwise at the foot of each plant by tubes or rings. Once drained by the support, it is collected in the tank where it is re-oxygenated by means of an air pump. These modular systems can be individual or interconnected, fed by a common tank. Pousspouss Platinium illustration. Do you know the range Platinum ? Discover drip systems or hydroponic drip on Culture Indoor. For a first, we recommend using the systems Platinium Hydroponics , they are guaranteed for 10 years, ABS 100% recycled plastic, modular design. You can change hydroponic techniques. Spend hydroponics aeroponics to easily, preserving the basic / some parts of the system. These systems adapt to all forms ofculture box . Seedlings and cuttings are placed on an absorbent mat resting on a covered tray. The nutrient solution flows along the tray, bathing the passage before the roots to drip into the tank. Roots, in the absence of culture medium must be constantly damp. - No root diseases and weeds. - No need to monitor the interval between watering because the roots never dry; over-watering is also difficult. - unlimited oxygen supply because the roots of healthy plants grown hydroponically are in direct contact with air. Discover the NFT on Culture Indoor. No substrate is used. The roots are kept in suspension in a dark spray chamber to prevent algae growth. The nutrient solution is sprayed on the roots at regular intervals. Constantly exposed to oxygen and moisture, they reach their potential maximum absorption. If the pH is altered and the solution is changing, no support as a buffer. Rooted seedlings and cuttings grown in aeroponics grow at exceptional speed. Learn all about aeroponics find our consulting aeroponics . Discover aeroponic systems on Culture Indoor. The tide tables are popular because they have amply demonstrated their ease of use and maintenance. Irrigation is done by alternately filling and draining. 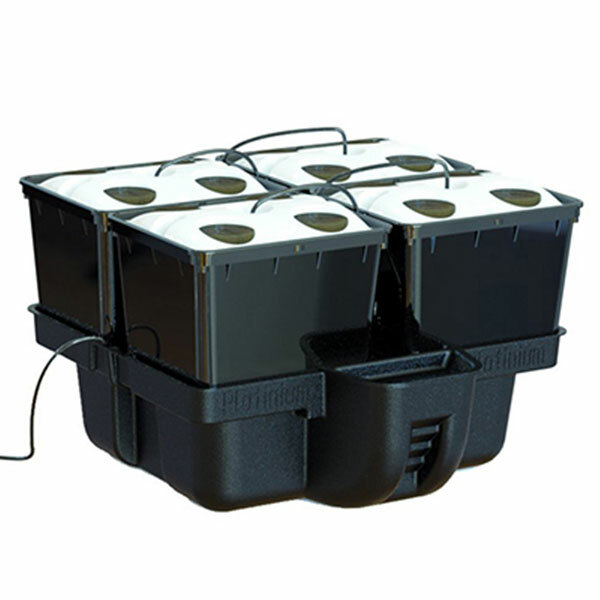 Plants, in individual pots or rock wool cubes are installed on a culture tray containing 2 to 5 cm of nutrient solution. A maze ditches draining the solution that flows to the reservoir. The pump floods the growth plate in regular alternations. The blocks ofrock wool or pots are submerged at the bottom, which has the effect of driving the oxygen depleted air. The water then flows, creating a breath of fresh air rich in oxygen to the roots. This prevents stagnation and creation of waste. Nutrients are better absorbed which promotes plant growth and general condition. The tide table closely follows the NFT system. It allows an equally therefore return with a more foolproof system. Discover table systems tide on Culture Indoor. Vertical farming offers many advantages from an economic point of view. It enables maximum return on a minimal culture surface. The green walls are placed on the wall, irrigation sytèmes are varied. They may complete a ground system to a more effective performance. Platinium innovates with its pyramid system , and vertical aeroponic system that can grow up to 200 plants on only 2 square meters (2m x 1m). * Hydroponics: Comes from the Greek hydro = water = ponos work. Hydroponics is an ancient technique that is the art of growing plants in water. Today, hydroponics is a term for the action of growing plants without soil, on inert substrates. But different inert substrates involve different methods of cultivation (known commonly soilless cultivation). There are different systems hydroponic *: * drip, aeroponics * * tidal tables, the NFT *. * Systems: Refers containers nutrient substrates or solutions supplying plants. Each containing operating specifically. * Aeroponics: Not to be confused with aquaponics, aeroponics is a soilless culture technique. The principle of this type of culture is to spray a jet nutritious (as mist) to constitute a responsible environmental oxygen for roots. To get to spray water and not the nutrient solution to the roots, it is necessary to have a pump that can develop a consistent pressure. * Drip: The system consists of two trays. The first box contains the solution, the second contains the substrate (clay pebbles, coconut ...) and plants. A pump, water or air, causes the solution to the substrate surface. The solution flows through tasters or a perforated ring. The solution is well watered the roots and then back into the first tank, and so on. * Table Tide: The principle is to continuously feed the plants but they will be fed intermittently. Each watering cycle = 1 tide. 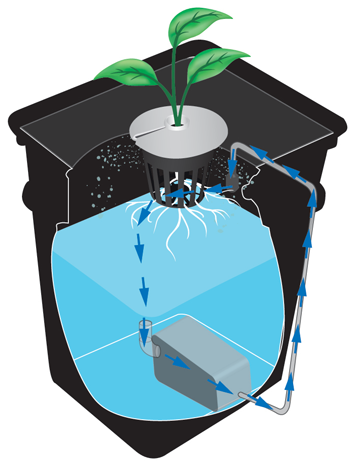 After the table full and sufficiently irrigated substrate, the pump stops feeding the plant in solution and the solution can flow through the drainage holes. NFT * (Nutrient Film Technique): The NFT is to circulate the water continuously at the foot of rock wool cubes. The water circulates continuously on this carpet as a nutrient film.